I bought some new field cases for my RC gear. One was actually sold as a pistol case, the other as a fishing tackle box. I hated the green colors on the tackle box, and the pistol case – pure black – got ridonculously hot in the sun. 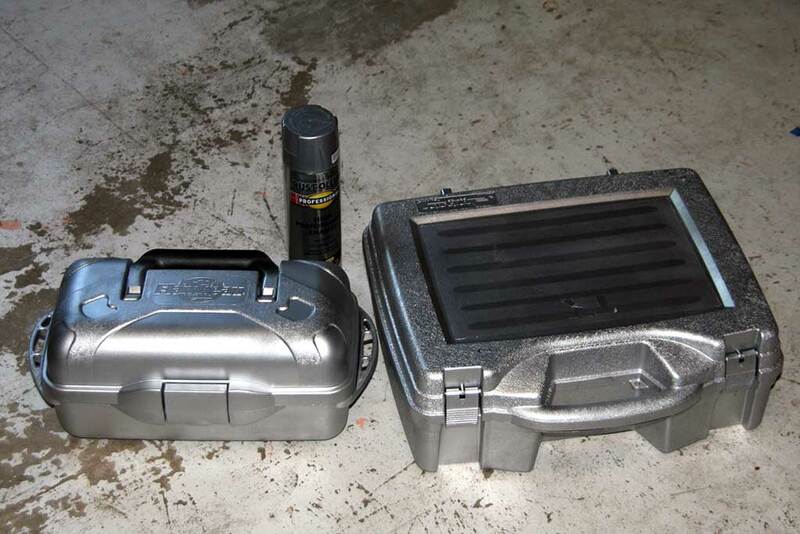 To (hopefully) solve both problems, I re-surfaced the cases with some Rust-oleum aluminum spray paint.